Let’s talk about what makes a brand powerful. A powerful brand doesn’t come from just having numbers. It comes from trust. It comes from teamwork. It comes from community. People that believe in you and pretty much support you to the very end. That’s what makes a powerful brand. When someone sees you and they’re like, “Oh yeah. I know that guy. That’s my dude. I’m a part of the … ” whatever it is you call yourselves, right? People that are proud, that take pride in shouting you out and being a part of your team, being a part of your clan, being a part of your party. That’s a powerful brand. Someone that loves to just even talk about it. Show it off. 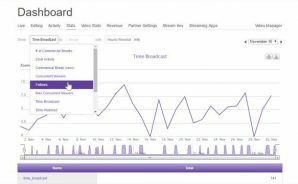 You can be a streamer with amazing numbers and really just not have an invested community. People are there to watch you play, but not really there to be there for you. You can tell the difference between a super closely-knit community and a loose one, one that just doesn’t feel like home. And there are some that just feel like super homely, superdope, super great to be a part of. Something that you want to, in turn, join as well. Tune into daily. That’s what makes a powerful brand. It’s all about how people feel being associated, being connected to you as a content creator. You can’t create that. Your community will create that. It’s about how you lead yourself and how you lead your people. What kind of events you’re throwing down and what kind of steps you’re taking to just be the next innovator. Be the next best thing. Be the greatest that’s out there. Putting your 100% into yourself and your stream day in and day out. There’s no shortcuts in creating a powerful brand. You have to go all in. You have to be there. You have to be ready to win it. You got to believe in yourself. That’s what makes a brand powerful. It’s the community that’s going to back you for your hard work, for your effort. Let’s look back at one of our streams. Let me show you the power of a community, a team, an audience so massive that they just want to ride to the death, and when you’re happy, they’re happy. When you’re going all in, they have your back. This is just the moment from the stream recently where things hit the fan and we fought extremely hard. Look at how excited I was, but how excited the chat was. People exploded when I exploded. They felt that energy. They had my back. They were with me. They are just going crazy, freaking out, and it’s because we’re all invested. We’re all together. It’s like if I tell them to jump, they’re ready to jump right there. They have my back. They’re with me. Of course this was an extremely epic moment, but you can see what it feels like to be a part of a stream, a community of network so large, so massive, so strong, that you just want to be in that chat. You want to just scream out with me. You want to be a part of the show. That’s what makes a great community. That’s what a powerful brand looks like. Just fun, just loads of excitement, and just … you can see the pride oozing from the stream, from the chat. Again, this is the same on Twitter, same on YouTube, same on Twitch. They want to have your back. They believe in you and they’ll ride with you til the end. If you’re looking to grow your brand, invest in your community, invest in your chat room, make sure you support those guys wholeheartedly. In turn, they’ll do the same for you. They’ll have your back. Your brand will look great.